Pregnancy Yoga is accessible to all women, whether they are yoga practitioners or new to yoga. With a Birthlight approach and adaptations of classic yoga with both micro-movements and flow sequences. 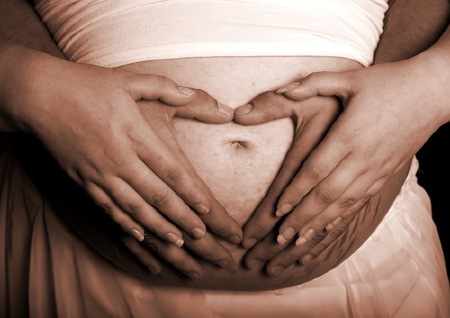 I offer caring, relaxed and nurturing prenatal yoga classes in London. You will learn techniques for birth and your daily life as a pregnant mummy: how to stand, sit, rolling in bed, carry your toddler and of course how to breath in preparation for birth. The Pregnancy Yoga classes in London will include yoga sequences specifically adapted for pregnancy and movements to alleviate discomforts and renew energy. Breathing techniques and relaxation skills are taught and there is time for discussion in a relaxed and friendly environment. Additionally hypnosis and mindfulness techniques at the end of each session. It is recommended to join from 16 weeks onward and you can continue until the birth of your baby. You can also ask for hypnobirthing sessions. Recommended two sessions a month until the birth. Also, I offer an active birth workshop and you can attend with your partner or a companion. It is and enlightening, fun and informal active birth workshop exploring ways in which you can enhance the experience of your baby’s birth. Rhythm, movement and relaxation will influence the process and outcome of labour benefiting both mother and baby. Specific techniques are taught to help you towards a safe natural birth and the start of your new family. Information is given on the stages of labour, what to expect and ways in which a partner can support a woman through labour and birth. A relaxed atmosphere will enable you to recognise your expectations and discuss your aims and concerns. The Active Birth workshops offer a balance of information, activity and relaxation to meet all your needs. BLISS 💖 life can be really hard, we should make the most of those moments where we can celebrate it! “The best Hatha Vinyasa Yoga in London! I started practising yoga with Nina and since the first class, I have loved it.